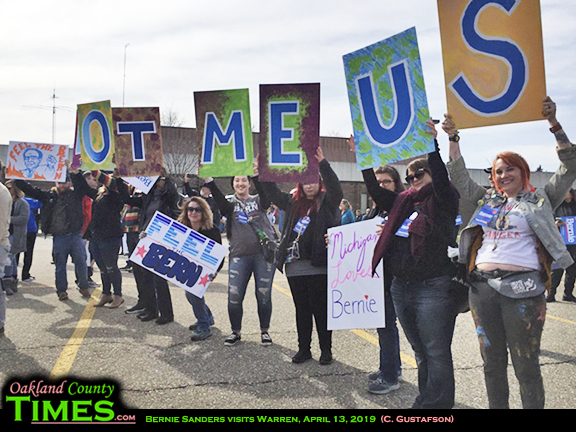 Warren, MI- Presidential hopeful Bernie Sanders made several stops across the Midwest this weekend, including a visit to Macomb Community College’s South Campus in Warren on Saturday. The 77 year old Senator from Vermont ran for the Democratic Party’s Presidential nomination in 2016, getting 43% of pledged delegates but falling short of Hillary Clinton’s 55%. 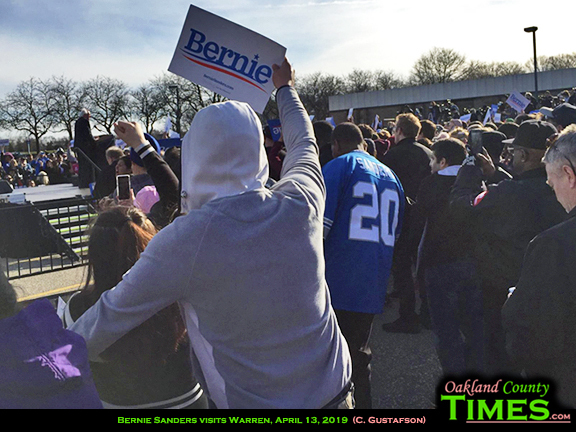 With the 2020 election still over a year away, potential candidates are coming out of the woodwork and beginning to hit the streets across the county, including Beto O’Rourke who visited Ferndale just about a month ago. 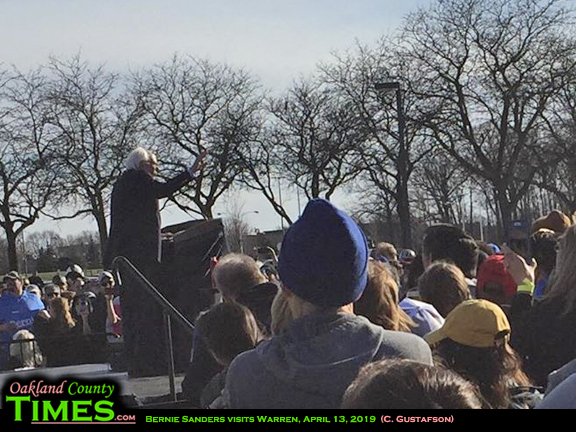 Sanders spoke for over an hour to the crowd of 1,400 people. He avoided mentioning President Donald Trump by name, only referring to his disappointments as those by “the current administration,” and sticking to issues instead of insults. “Spill the tea Bernie!” yelled someone from the audience. Yet he kept his remarks kind. The big topic of the day was Medicare. 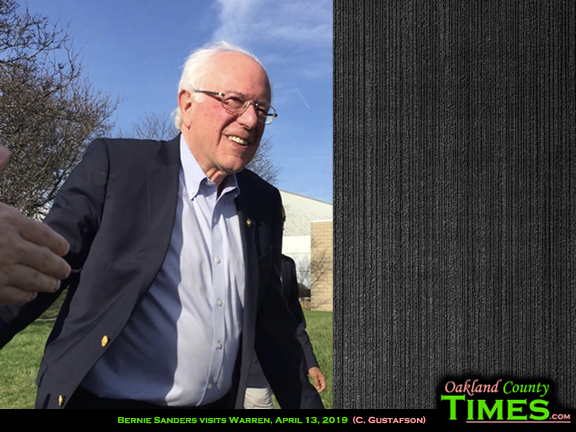 Last week Sanders introduced a bill that would create a single-payer healthcare system. The Medicare for All Act of 2019 , if passed, would guarantee the right of every American to healthcare access. “The United States spends far more per capita on health care than any other nation; however, 34 million Americans do not have health insurance, thousands of people die each year because they cannot afford medical care, almost one in three adults with insurance have been unable to afford the care they need and nearly half fear bankruptcy in the event of a health emergency,” said a press release on the bill. “In my view, the current debate over Medicare for All really has nothing to do with health care. It’s all about greed and profiteering. It is about whether we maintain a dysfunctional system which allows the top five health insurance companies to make over $20 billion in profits last year,” Sanders said in the statement. 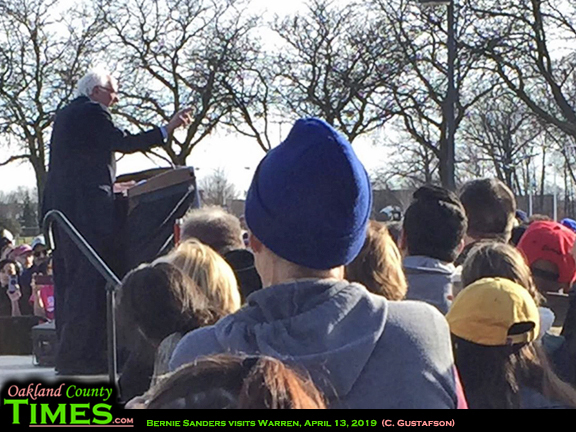 At the rally he focused on the plan, which calls for eliminating large private insurance companies with a single-payer system much like systems in Canada and European nations. 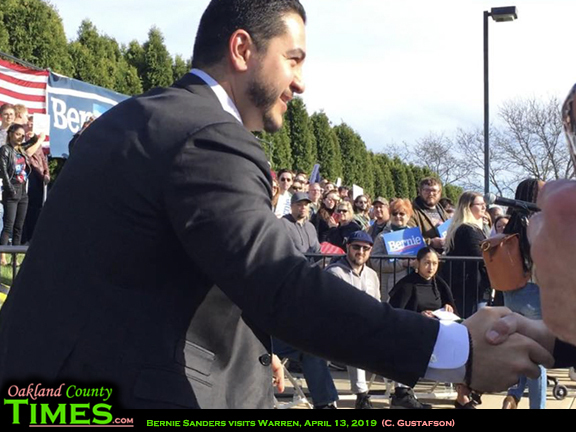 Sanders was introduced by Abdul El-Sayed who ran unsuccessfully in the 2016 Democratic Primary for Michigan Governor.